Apple's so-called "iPhone 8" with an OLED display and wireless charging is widely expected to cost in the neighborhood of $1,000 in the United States, and Wall Street analysts continue to guess just how much it'll sell for. 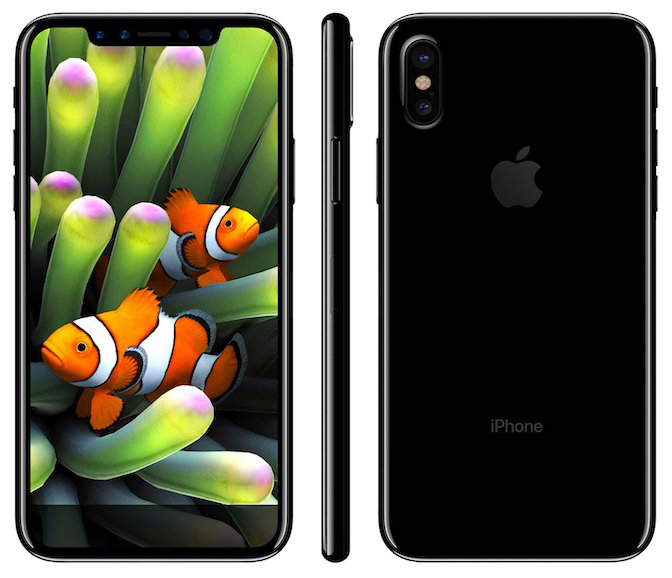 The latest prediction comes from Goldman Sachs analyst Simona Jankowski, who today said she expects the rumored high-end iPhone to be available in 128GB and 256GB storage capacities for $999 and $1,099 respectively. Unlike the iPhone 7, she doesn't believe the iPhone 8 will be available in 32GB. Relative to the 128GB iPhone 7 Plus, we estimate the new features and higher commodity prices to increase the bill of materials by over $70, which we expect Apple to offset via a $130 price increase, resulting in a starting price of $999 for the 128GB capacity and $1,099 for the 256GB capacity (we don’t expect the iPhone 8 to come in 32GB). Apple's most expensive smartphone to date is the iPhone 7 Plus with 256GB of storage, which retails for $969 in the United States. UBS analyst Steven Milunovich shared entirely different pricing expectations last month, so it's clear that analysts are simply guesstimating. He thinks the iPhone 8 will come in 64GB and 256GB storage capacities for $850-$900 and $950-$1,000 respectively. His research note didn't mention 32GB or 128GB models. The takeaway here is that the iPhone 8 will likely be very expensive. The device's exact price tag is likely privy only to Apple at this point, however, so treat any estimate with a healthy dose of skepticism for now. Goldman Sachs raised its 12-month price target for Apple's stock to $170, up from $164, based on strong iPhone 8 expectations. When I see posts like this I always wonder whether it's Apple testing the waters or easing people into the idea. Get ready for the backlash from people sick of Apple pandering to only the wealthy and elite. I myself am buying my first PC this weekend, I can't afford Apple anymore (especially for what they offer now: form > function) and am happy to finally downgrade. I feel we're reaching a tipping point with Apple. If the touch-ID sensor is on the back, I won't buy it. Apple's first ad for the iPhone 8 will show customers being hung upside down to pry loose any spare change they have left in their pockets. Anything less than 64GB is a waste of time as apps continue to be bloated messes done by kids who couldn't write slimmer code if you threatened to pour hot lead up their bum. I think i will continue to use my iPhone 5s. I have given a lot of money to Apple over the years (i started with the Mac Classic) but don't see a need to buy this proposed device that costs 1,000 dollars. Over time, Apple has learned how to produce these products for less money. In most normal businesses the manufactures lower the cost to customers as manufacturing costs decrease. while Apple makes a great product, it does not mean that we need to spend this kind of money for it. I am receiving no benefit from that huge new headquarters, I see no reason to fund its construction. By "predicted" he means he wrote $999 on a watermelon half. Then $799 on a bag of dry dog food. Then released his Labrador to see which one she would go to and that one would be the winner.